It’s hard to know where to invest with a recession on the horizon. Banks, energy, and other blue chip stocks just don’t seem as solid as they used to. Even minerals have investors nervous. But analysts don’t seem to think there will be much, if any, drop in gold price. It’s likely to stay around the $1,700 range until 2020. With that in mind, now could be a good time to find some strong gold stocks to help your portfolio in economic uncertainty. And I’d start with Agnico-Eagle Mines Ltd. (TSX:AEM)(NYSE:AEM). Before delving into the strength of its operations, let’s take a looks at this company’s strong finances. Agnico had its earnings report for the quarter a while back and toppled analysts’ expectations. The company reported $0.19 earnings per share, which trounced analysts’ estimates of $0.04. Agnico earned $710.88 million during the quarter, with analysts thinking the company would be closer to $675.45 million. On April 25, the company will release its quarterly earnings again and investors are chomping at the bit. Again, analysts are low in their estimates, estimating an EPS of $0.09, and profit of $21.12 million. Ahead of that report, analysts are saying to buy the stock, estimating that it could reach $67 by 2020, whereas at the time of writing it’s currently trading at $58 per share. 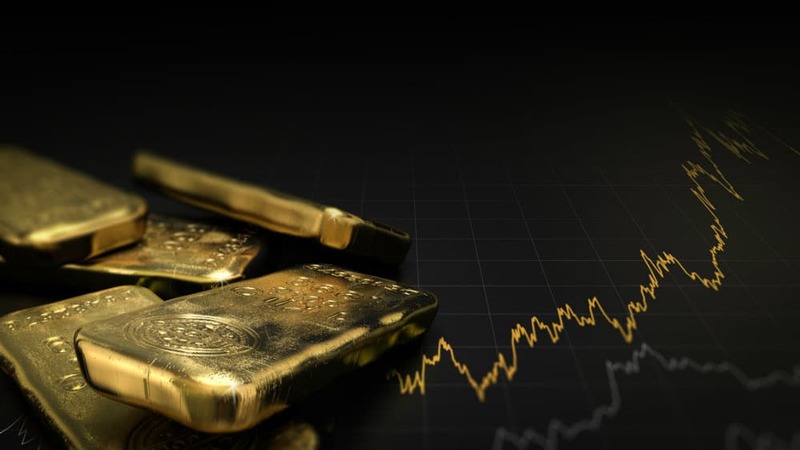 I’d expect the company to easily beat analysts’ expectations, at Agnico is targeting record gold production in 2019 with a 30% jump by 2021. This would mean greater cash flows, and greater dividends for shareholders. Part of the attraction of Agnico lies is its low risk jurisdictions. The company operates gold mines in Canada (specifically northwestern Quebec and Nunavut), northern Mexico, and Finland, though it does have exploration activities in Europe, Latin America, and of course, the United States. As I noted above, the company has consistently outperformed expectations, and this comes from its outperformance on an operational level. Part of that, is its industry-leading cost structure, where the company produces gold at incredibly low prices compared to its peers. In the next two years, however, things will be very exciting for Agnico investors. Its four cornerstone assets will all be in Canada by 2020, consisting of LaRonde, Malartic, Meliadine, and Meadowbank. Agnico recently poured its first gold at Meliadine mine on February 21. It came just ahead of schedule, and construction is also expected to remain under budget, with the company advancing $1.2 billion between this project and the Amaruq gold deposit. Meliadine has 3.7 million ounces of proven and probable gold, and production is expected to remain for close to 15 years. Over the next two years, Agnico investors have the opportunity to make a killing. The company will begin mining, and likely will announce further mines that are currently in the exploration process. However, once the stock rises, I wouldn’t recommend selling. This is a great investment in a gold mine that you should hold onto over the long term. It would help during a potential recession, and that dividend certainly won’t hurt either currently at 1.13%. Right now, the stock is trading at $58 at writing, on a slight dip from its fairly steady rise over the last year. Again, this is a long-term investment, so I wouldn’t pinch pennies before getting in on this stock. And I certainly wouldn’t wait until the April 25 quarterly report.